Former Schools Superintendent Dr. Marcia Lyles has been banned from school district buildings. 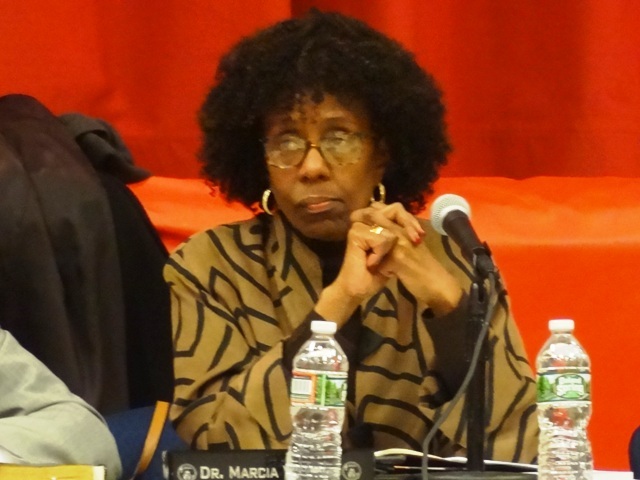 In a series of rulings that took place over Superbowl weekend, the state Department of Education overruled the Hudson County Superintendent of Schools and said the firing and removal of Jersey City Superintendent of Schools Dr. Marcia Lyles was legal. On Jan. 2, the Jersey City Board of Education voted not to renew the contract of Dr. Lyles, which expires on June 30, 2020. On Jan. 30, Lyles filed a federal lawsuit claiming her civil rights had been violated and that the board along with the teachers’ union had created a hostile work environment. At a contentious Jan. 31 meeting in which hundreds of teachers spoke out against Lyles, the board voted to have her removed from her position, paying the remainder of her contract, while seeking a permanent replacement. Board of Education President Sudhan Thomas said the move was made to protect the district from decisions Lyles might make over the next 20 months. But Board Trustee Matt Schapiro, who voted against removing Lyles, believes the action taken on Jan. 31 was in retaliation for her federal lawsuit. On Feb. 1, Melissa Pearce, interim executive superintendent of Hudson County schools, issued a ruling that said the board’s move to remove Lyles was not legal. “A superintendent cannot be dismissed during the term of an employment contract with the board without a hearing that results in a determination that the superintendent may be terminated,” Pearce wrote in a letter to Thomas. Pearce said there is a procedure that must be followed, and the Jersey City Board of Education did not follow it. Pearce said the board action on Jan. 31 was null and void. Thomas, however, argued Pearce did not have the authority to make that determination, and said her ruling was based on the presumption that Lyles had been terminated. Thomas, however, argued that Lyles had actually not been terminated. “On Jan. 31, the Jersey City Board of Education relieved Marcia Lyles of her day-to-day duties and appointed administrators Franklin Walker and Ellen Ruane to manage district operations until an interim superintendent is identified and hired,” Thomas said. Lyles is being paid her salary and benefits in accordance with the terms of her employment agreement. On Feb. 3, the state Board of Education intervened and put a hold on Pearce’s ruling until the city Board of Education could clarify its action. In an emergency meeting at about 5:30 p.m. on Feb. 3, an hour before the start of this year’s Superbowl, the board passed a clarifying resolution placing Lyles on administrative leave with pay. 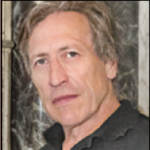 Board Trustee Matt Schapiro, who voted against removing Lyles, said he was notified of the SuperBowl Sunday meeting at 5:06 p.m. He was at a relatives’ home celebrating his daughter’s birthday and rushed to get to the Central Office for the meeting. He arrived at about 5:50 p.m. to find only the recording secretary still in the room, from whom he learned the details of the meeting. The same five members of the nine-member board who voted to remove Lyles on Jan. 31 got to the meeting on short notice. Shapiro said one of the actions of the board was to restrict Lyles from entering any district property, which includes all the schools and the Central Office. On Feb. 4, Catherine Coyle, a retired associate superintendent who served as state monitor of the Jersey City School district for six years when the state had control of school operations in Jersey City, filed suit in superior court challenging the legality of the Feb. 3 meeting. She contends in the lawsuit that the meeting was held illegally and therefore the actions taken at the meeting were void because the district failed to give 48 hour notice for the meeting. Thomas would not comment on the suit, but confirmed that Lyles has been restricted from entering school property. Thomas said he believes the board actions are correct.